Print the template out. Cut it out and laminate it. Cut the eye holes out. Tape or hot glue the bamboo skewer to the back on the side of the corn cob. The words say, "God Made Corn". If you want you could make this at home and then play a game during class and the winner can win this as a prize. Hand out suckers to everyone else. Use our Corn Sunday School Lesson to go with this. 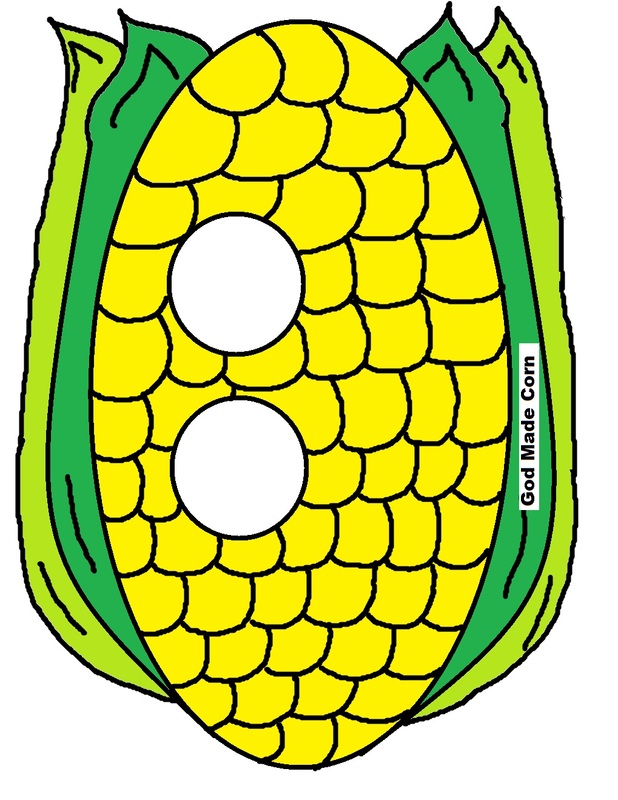 Comes with Corn Maze, Corn Coloring page, Corn Cupcakes, Corn Templates, Corn Crafts and more.